Euro Hotel Hammersmith i London, England : Boka nu! 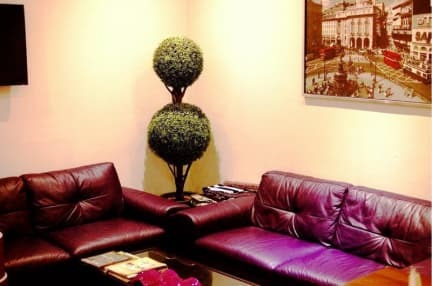 Euro Hotel Hammersmith is a contemporary bed & breakfast with all the amenities for a comfortable stay in the city while preserving the essence of a traditional bed and breakfast. Ideally located for tourists and business travellers visiting the city for a short or long term stay with excellent public transportation links to the city centre. Located within a walking distance to the Shepherds Bush and Hammersmith town centres benefits the property with excellent cafes/bars/shops located within less than a 5 minute walk. All rooms in the property are en-suite with free WiFi, refrigerators, tea/coffee making facilities, microwave (on request), hairdryer, 24 hour reception and free continental breakfast for all its guests. Located close to central London with excellent transportation links to the city centre and Heathrow & Gatwick airports, Euro hotel Hammersmith is well located within walking distance to Westfield White City shopping centre, the O2 Empire & Hammersmith Apollo. 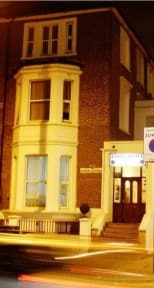 Euro Hotel Hammersmith has a 24 hour reception. If checking in before the check-in time, guests can leave the baggage with the receptionist and check-in later or wait in the breakfast lounge and a room will be allocated as soon as one is made available. There is no charge for luggage storage service.